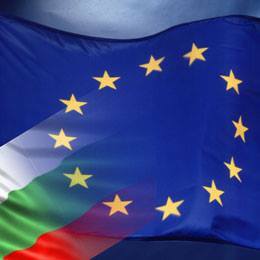 The situation of Bulgaria in the European Union recently became a very hot topic. It happened like this beacuse of the latest Co-operation and Verification Mechanism report of 22nd January 2014, that discribed the current situation of Bulgaria on the grounds of: corruption, improving of the judiciary as well as organized crimes. Since 2007 both Romanians and Bulgarians have been put in the CVM to prepare and to adapt them to the Union standards. Now, after 18 months of preparation the report appeared again to evaluate the current state of progress in the country. Romania has made some crucial advancements…but what about Bulgaria? So in which aspects Bulgaria improved – well on not many, that is certain. There were some enhancements on the grounds of appointment procedures, some useful managerial steps by the Prosecutor General and some progress by the Supreme Judicial Council on the workload issue. In general there is a lot more to do than this. The Commission believes that the monitoring process of the CVM, the opportunities provided by EU funds and the constructive engagement of the Commission and many Member States continue to be a valuable support to reforms in Bulgaria. According to the report, Bulgaria made some small steps towards better, but also did some bigger steps back so it is really difficult to say whether it is better or worse. It is considered as „not yet sufficent and fragile”. The Eurobarometer shows that 96% of Bulgarians think that corruption and organized crime are very important issues, also 92% say that the judicial system of Bulgaria needs to be properly adjusted. This shows that residents are (mostly) aware of the problem. Bulgaria still did not fulfil obligations in the field of „independence, accountability and integrity of the judiciary”, reform and efficency of the Judicial System as well as corruption and organized crime. What still needs to be improved in Bulgaria puts a very important question: Is it possible? Since last CVM not much has changed on those grounds, and it is not strictly connected to the people – more to the authorities of the country. Everything connected with CVM started in 2007, exactly on 1st of January when the Comission decided to present and establish the Cooperation and Verification Mechanism. The main goal was to assess the fulfillment of the Bulgaria‚s commitments in the areas of judicial reform and the fight against corruption and organised crime. Those CVM reports were supposed to be made on regular basis to keep track on the situation and properly intervene if necessary. The Commission reports are complemented by a staff-working document which sets out the Commission’s detailed analysis against each of the benchmarks set for the CVM. The first report was made 27th of June and it is evenly done till now. In July 2012, the Cooperation and Verification Mechanism was extented in time to 18 months of regular reports, instead of just 1 year, to simply give more time to the country to adapt the rules made by the EU and to see if they will sustain „on their own” in the country for a longer period of time. The assesment made by the Commission is very crucial in putting forward the situation of Bulgaria in the European Union. It is mostly based on „progress of the Bulgarian authorities and on information by Member States, international organisations, independent experts and a variety of other sources”. There were also questionarries created by the Commission and the reply to them was required from the Belgian government. The steps of Bulgaria are surely slow but certain. From year to year we can notice some small improvements on various grounds. Also we need to take into consideration that the last few months was a very difficult time for this country, mostly because of three different governments – each of which trying to take their stand. What the near future will bring – we will see in about a year when a new report will be created. Right now – I think this is a change for better. 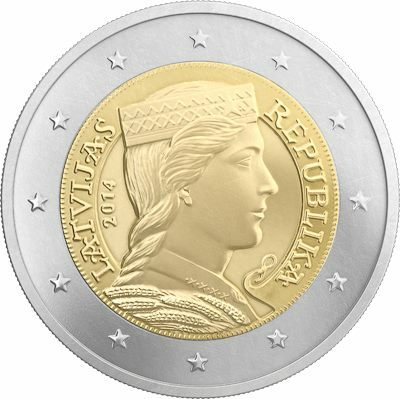 From 1st January 2014 the official national currency of Latvia has become euro. According to dates provided by Latvian Finance Ministry the process of joining the euro zone in Latvia has been successful. Latvia started to prepare to this changeover 10 years ago and it seems that a careful preparation has borne its fruits – the first hours after joining had been smooth and with no major problems encountered. One might say that Latvia had done its “homework” well last year and in this year it just relay on before carefully planned and organized work plan. And indeed, before Latvia joined the euro zone there was done a sufficient work ahead. For example most of the 106 IT systems have been equipped to deal with the euro already on December. The same as the adaptation system of the euro in local governments was done previously and with the start of the new year 30 000 active users in nine biggest towns were able to start their daily work using the euro currency. On 1st January 113 laws, 603 regulations of the Cabinet of Ministers and 1432 local binding rules successfully entered into force thanks to the previous preparations. There are a couple of other very important steps taken long before the euro became an official currency in Latvia. The first thing, that has been made was to fix lats against the euro which was 1 EUR = 0.702804 LVL. Afterwards Latvia got the right to join the Exchange Rate Mechanism II or a multilateral agreement aimed at fostering exchange rate stability and coordination in Europe. The next key step was the development and implementation of two crucial projects, such as the Euro Changeover Project and the National Euro Changeover Plan. The last one, according to information by the Finance Ministry of the Latvian Republic “is aimed at identifying the key Euro Implementation Project tasksin Latvia, their implementation stages and spheres of accountability as well as defining the euro introduction principles and scenario.” The establishment of the Steering Committee has been helping to ensure an efficient euro implementation process and monitor the elaboration of the National Euro Changeover Plan. 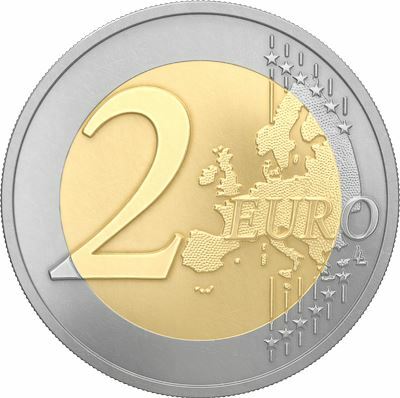 the dual circulation period of the lats and the euro, when two weeks following the date of the adaption of the euro it has been possible to use both the lats and the euro. This period is already successfully over in Latvia, and since 16 of January the only official currency in Latvia is the euro. the next stage or the period of the lats cash exchange to the euro, which will last for six months following the euro has been adopted and during this period day gives a possibility to convert the last lats cash reserves to the euro in all commercial institutions. After this period the lats will be possible convert only in the Bank of Latvia. And the last stage will start when all prices will be displayed in the lats for euro, which will last for a quarter before and half a year after the euro adoption and it is called as the period of dual price display. Till now Latvia has rather productively passed the first stage thanks to it careful planning before and it seems that the last two stages will not be a problem as well. The possibility to change previous currency in post offices, the State Police and other organizations mobilized work to maintain security process during the changeover and the Consumer Rights Protection Centre’s monitoring over the proper price calculation from lats to euro are another causes for the smooth changeover process in Latvia. The future with the euro in Latvia seems rather positive and there are several advantages that came after adoption of the euro. It is essential that after the euro adoption Latvia is joining the Single Euro Payments Area (SEPA), that will establish more convenient, cheaper and faster banking transactions for citizens and entrepreneurs all over the euro zone. According to the published articles by Finance Ministry of Latvian Republic “The euro is a working tool that will help our country to attract more investments and enhance economic development. It will help to raise the standards of living and promote the prosperity. And it will also help to travel without extra spending because of changing currencies.” However, there is always some fly in the ointment, or in this case it was an obvious mistrust of people to the euro as a stable currency and the support for adoption of the euro in society of Latvia was rather low. According to Eurobarometer survey on December 2013, only 53% of all citizens of Latvia supported the euro adoption. On the other hand, the Finance Ministry of Latvia, claim that soon after people saw all advantages of this common European currency in practice, they will quickly change their mind to more welcoming position. Let’s hope that this mistrust in eyes of Latvia’s citizens in the end of previous year, will be the only little unpleasant thing in whole changeover process, but the positive example of how to smoothly adopt the euro and the formula of success will be passed to the next euro zone states, for example – to Latvia’s neighbor Lithuania, who are planning to adopt the euro on the year 2015. EU Funds – how, for what, for whom? EU funds seem to be extra money for an ordinary citizens who, in majority, do not realize how it is that the Member States receive this financial support. The European Union is an organization that could not exist without its members due to the fact that over 69% of total EU income is money from MS which pay some amount of it in accordance with their Gross National Product. Each MS is obliged to pay 0.73% of its GNP to the EU budget. The rest of funds’ sources come from VAT income of particular MS and EU customs duties. It seems to be fair that the collection of money is inflexible because there are countries that are poorer than the others, but what about these countries which pay in more than they withdraw? Is that make any sense? Certainly, Poland is one of these countries which obtain more than they have to pay to the EU. Such action is caused because of Cohesion Policy which point is to build a balance among the Member States and eliminate huge differences connected with economy, education, agriculture etc. It is aimed to the areas that are less developed than the rest of the EU community. So in this case, “losing” money by some MS (they pay more to the EU than obtain afterwards) is justifiable because they fulfil the assumption to balance, widely understood, situation within the Union. For years 2014-20 Poland is going to get EUR 105.8 bln at all. It means that the amount increased by EUR 4.3 bln in comparison to the 2007-13 period. In the light of the current arrangements, over the next seven years Poland will be the biggest EU funds beneficiary among all the Member States, not only the biggest beneficiary of the Cohesion funds alone as has been the case so far. We have already obtained EU money, but for what? Poland is going to be innovative and competitive on the international area. The road system is about to fill the gaps on the road-map of Poland. The process of building road connection that the authorities started before the EURO 2012 put a positive impact in this sphere. Not only big cities but also small towns have more convenient road infrastructure nearby. Additionally, to attract future investors in Polish regions the new airspace was created. From the end of 2012 Lublin city has its own airport that achieved great results in number of passengers so far. It would be irresponsible to try to change the reality only through architectonic facilities without high-qualified persons to work there. Due to this fact, huge amount of money landed up in education. It is noticeable how schools/universities are able to help students when the costs allow to develop Internet structure, prepare training courses or find a financial support for talented persons in need. The provisions of Council Regulation 1083/2006 of 11 July 2006 define the period within which the beneficiary has no possibility to introduce essential changes to the project. According to Art. 57 of the Regulation this period – related to micro, small and medium companies – is established to 3 years from the date of ending the project. In case of big companies this time is lengthened to 5 years. Timing a durability of project starts form the last tranche of financing, generally after the final control in place of project realization. The idea of the EU is not changed through the years. From the very beginning the organization was focused on helping to build the solidarity. Beside the fact that the contemporary financial support much differ from this after II WW, still the point is the same – to remove the differences to achieve more. Did you know that within the European Union we have some rules concerning financial support for movies? 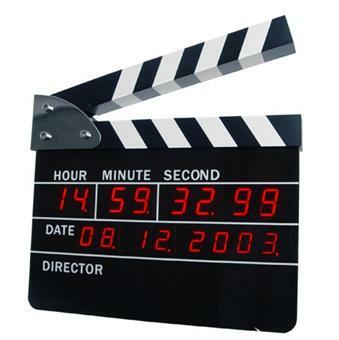 On 14th of November 2013 the European Commission has adopted modified criteria for access to support programs in favor of films and other audio visual works, under EU State aid rules of Member States. Countries of the Union provide about 3€ billion every year in cinematic support. 2 billion in grants and soft loans and 1 billion in tax incentives. Estimated 80% of this goes for film production. Countries that contribute the most to helping this form of art are UK, France, Germany, Italy and Spain. Member States has 2 years to comply with new regulations. The main aim of proposed rules is the development of the European film industry with emphasize on cultural diversity on our continent. The new rules are gathered in Cinema Communication Paper. The changes allow for wider scope of activities. Now it’s up to Member States to define what cultural activities are worthy of granting aid, as the paper underlines. It gives more opportunities to promote cinematic heritage and it would be possible to give more aid to cross-border productions. Before the adoption of Cinema Communication Paper consultations with the participation of stakeholders and Members States has been held. The new support rules amended previous rules from 2001. What remains and what has changed? Every Member State will still be able to impose territorial spending conditions on beneficiaries. For example that 60% of the aid amount must be spent in their territory. There would be a question, if it’s not against Single Market rules? – the answer is NO. Putting such restrictions is fully justified by the promotion of cultural diversity which is connected with the preservation of resources and knowledge of the industry at national or local level. No matter what amount of aid will be granted, Member State may use additional conditions. Because of that, beneficiaries would be obliged to carry out production activity at minimal level at the territory of particular Member State to receive founding – such requirement can’t exceed 50% of the production budget. Scope of territorial spending conditions cannot reach above 80% of the production budget. There is a problem of defining common assessment and exemption criteria for this type of aid. The Commission emphasize that even though games represent a fast-growing sector, not all games qualify as audio-visual works or so called cultural products. The process of production, distribution, marketing and consumption of games differs from that of films. It would be too fast to include this sector in the Communication Paper according to the EC. It will be continued to assess State Aid Instruments implementation in games sector but every case will be considered individually on a case-by-case basis. New rules are hailed as “victory for European Cinema” especially by British Film Industry and French Filmmakers, praising decision of European Commission as “preserving the complex but efficient fabric of European cinematic support”. It is a significant improvement for the industry knowing that average of 1300 films is being produced every year in Europe. 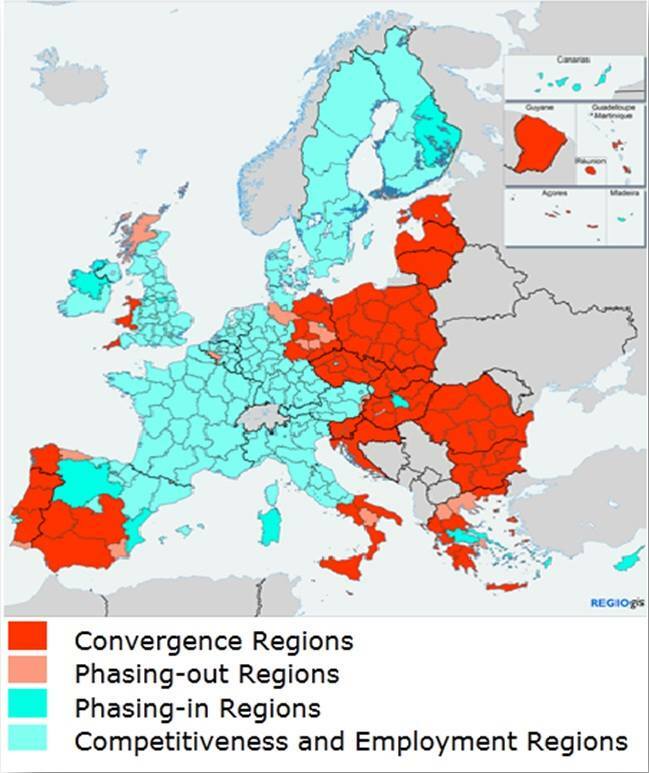 Commission gives equal chances for countries with less popular languages respecting subsidiarity principle in cultural areas – now they have more to say on maximum level of support they can give for their producers. More aid will encourage the European filmmakers to create new audiovisual works with preservation of cultural diversity in the EU at the same time. The possibility of imposing financial sanctions on a Member States was introduced in a Maastricht Treaty in Article 228. Each Member State may be brought before the Court of Justice in the case of act against EU law. Through years Commission adopted three communications on the application of Article 228 – in 1996, 1997 and in 2005. Actually about finacial sanctions on Member States that has failed to comply with a judgment which stated an infringement says an Article 260 of the Treaty on the Functioning of the European Union (Lisbon Treaty amended Article 228). Those changes have one goal – strengthening mechanism introduced in Maastricht. Procedure of Article 260(2) was changed by Lisbon Treaty which removes stage of issuing a reasoned opinion. Now, if Commission considers that a Member State has not complied properly with the jugdment of the Court of Justice of the European Union there is only one step. Commission have to send a formal letter notice, in which a Member State is requested to submit some comments. After that if Commission is not satisfied with answer or if Commission has not received any answer, it can refer the matter directly to the Court of Justice of the European Union. The main purpose of this intervention into European Union law was to speed up procedures. — the need to ensure that the sanction itself is a deterrent to further infringements.” Also penalty must be predictable and proportional what means that it must be severe at the same level for each Member State. We could not forget about effectiveness – penalty should be decided in the amount in which it ensure the deterrent effect of the sanction. Using of that measure is motivated ‘when it deems appropriate’ . After whole theoretical analysis I focused on practical aspect of those financial sanctions. And how much surprised I was when I found only eight cases which refer to Article 260(3). All those case were removed. Interesting issue is that six from eight was connected with approximation of laws and also the same amount was removed at 18th of July 2013. So actually provisions of Article 260 of the Treaty on Functioning of the European Union are not used but obvious thing is that this is good law created with respect of rules of European Union law.